fan art!!. . Wallpaper and background images in the SCANDAL club tagged: scandal fan art. 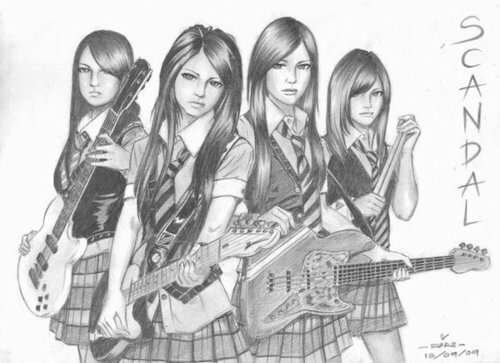 This SCANDAL fan art might contain gitarist.